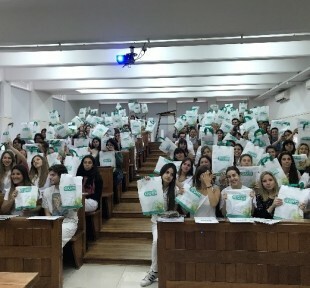 The Thai Cancer Society has launched the ‘Stronger than Cancer’ campaign to raise funds for cancer patients in Thailand as well aspersuading people to exercise more for healthiness. 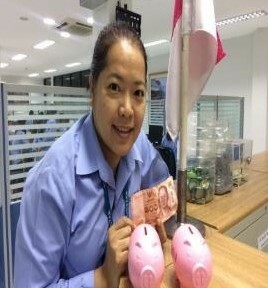 Many empty pink piggy banks (donation boxes) are distributed to runners for dropping donated money according to its campaign ‘One Baht for One Kilometer’ run. The final event, a charity run, was held at Chatuchak Park on February 4th with participants bringing back their piggy banks with money to donate to the Thai Cancer Society for charity. 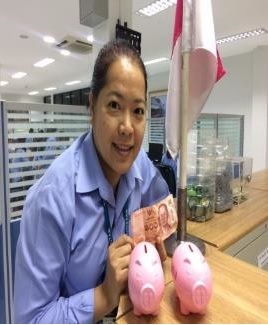 Sunstar Engineering (Thailand) has also joined the activity by putting two piggy banks at the offices for employees to donate money according to their running/walking distances for helping cancer patients in Thailand.